Find fresh vegetables, fruits and homemade items that you'll enjoy around theLake Winnipesaukee area farmer's markets in New Hampshire. 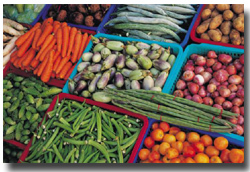 Farmer's Markets are a great way to get your fresh produce. All winter you've been getting your veggies and fruit at the grocery store. Sometimes they're really not that fresh and you long for the fresh produce from the garden. If you're not into gardening and want the taste of fresh fruits and vegetables you can always go to the local farmer's markets in the area. As you're driving around you'll also find several roadside stands that are worth stopping at. Of course, there are also local farms that sell fresh fruits and vegetables along with other homemade goodies. The Tilton Agway opens its doors the first weekend of December and runs through the last weekend in March. The market will be open from 10:00am - 2:00pm every Saturday and Sunday. 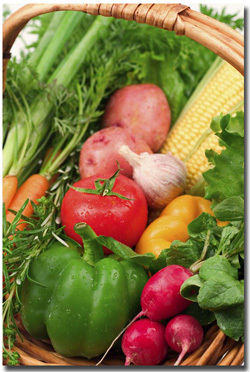 You'll find many fresh and organic foods to enjoy throughout the winter months.